For the past three years, high schools in Mansfield ISD have been using the eight-period master schedule, where students go to all eight of their classes everyday for forty-five minutes each. However, after considerable amounts of surveys, discussions, and statistic analysis, the district has opted to shift to the A/B block schedule for the 2016 – 2017 school year for high school students. 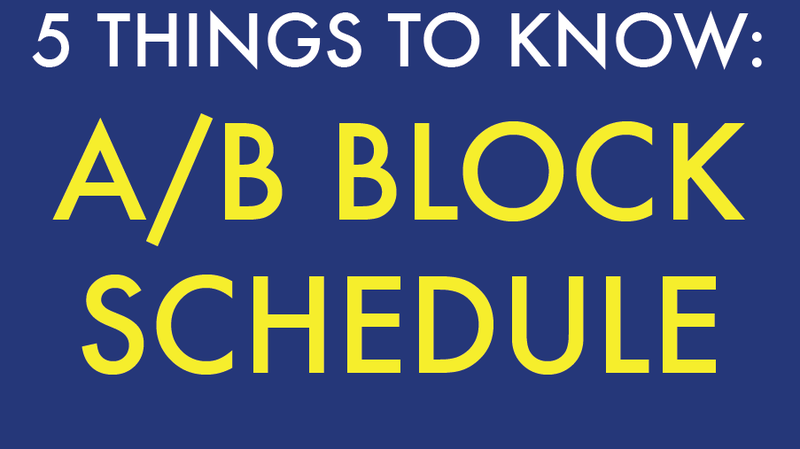 How does the A/B block schedule work? How did the school board come up with this decision? Surprisingly, this decision wasn’t made overnight. This issue was brought up by high school parents within the district, which prompted an in-depth investigation into different master schedules’ pros and cons. Throughout last year, there were many several focus group discussions, parent meetings, teacher meetings, and community surveys; furthermore, Dr. Vaszauskas met with student focus groups on each of the five traditional high schools’ campuses to hear their opinions. What are some advantages of the A/B block schedule? Some students cite that forty-five minutes every day isn’t enough time to let information soak in, and would prefer ninety minutes every other day to allow them to absorb content. Ninety minute class periods are also vastly superior for science courses, as it gives a lot more continuous time to conduct labs, something that forty-five minute classes disrupts. What are some disadvantages of the A/B block schedule? Some students say ninety minute class periods are far too long and they already tend to zone out by the end of a forty-five minute class. Furthermore, students only see teachers half as often, so it can be difficult to ask for questions and help as often. The A/B block schedule is much more penalizing for students who miss a day, because it is often several days before a student can see his or her teacher again. For instance, missing a class on Friday means the next time a student will his or her teacher is Tuesday, six days since the last time he or she saw the teacher (on Wednesday). How does the A/B block schedule affect course flexibility? Traditionally, on the A/B schedule, many extracurricular activities, such as band, choir, and athletics, are double-blocked, meaning that students will go to these classes everyday for ninety minutes. This doubles the amount of credits a student receives from such a class, but limits the variety of classes he or she can take, in comparison to the eight-period schedule. On the other hand, Ben Barber classes are now more accessible, as they only take up one class period, whereas they took up three on the eight-period schedule. This information was very useful for my essay.